CLAYTHING is all about innovative clay-based flexible surfaces. CLAYTHING experiments and explores the potential of ceramics, willing to break limited preconception and expectations of it to be static, rigid and fragile material. Driven by the pure aesthetics, both simplicity and multifunctionality, and inspired by recent developments in material science of clay, CLAYTHING designs new experiences of ceramics. Textiles is an essential part of the designing process. 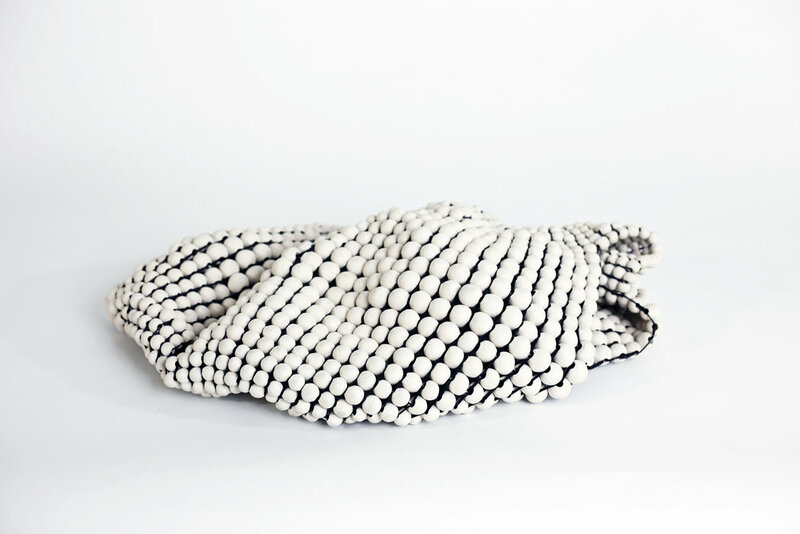 CLAYTHING comprehends textiles as construction schemes, rather than visual images and uses them to assemble ceramic particles to achieve flexible structures and objects. By using textile construction techniques, designed surfaces behave like fabrics, yet ceramics add new architectural characteristics. CLAYTHING creates unique design language through the combination of High-Low Tech. Both traditional clay-moulding and 3D printing techniques vary and complement each other to achieve a desirable alternative aesthetics to mass-produced components. 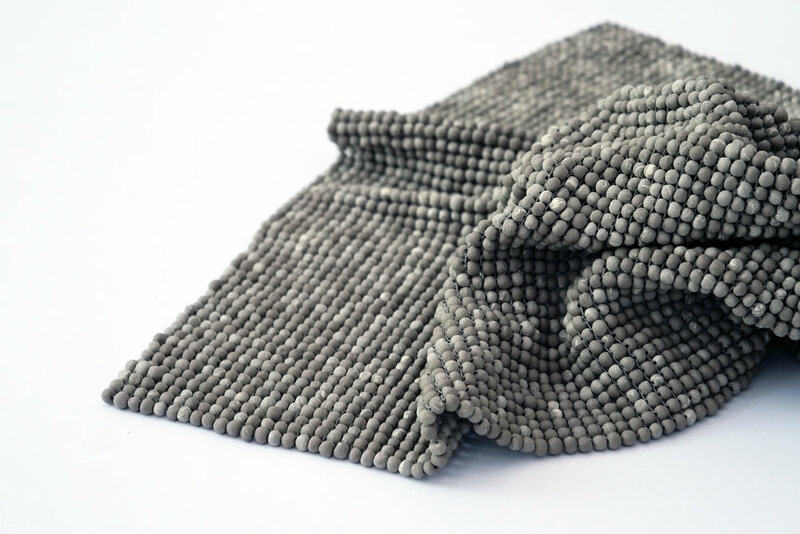 CLAYTHING invites to re-envision application possibilities of clay and aims to integrate textile ceramics as a functional matter in interior design and architecture. The creative process allows to design an unexpected material, which creates a new tactile, aesthetic and functional experience of clay. We like to call it CLAYRAMICS, as it indicates the playful fusion between textile design, material research and architecture. Justina Monceviciute is a designer, working in fields of Textile Design and Material Research. Her focus lies in challenging new perceptions towards clay-based materials, their behaviour and application possibilities. Justina holds BA and MA degrees in Textile and Surface Design from The Weißensee Academy of Art in Berlin, Germany.